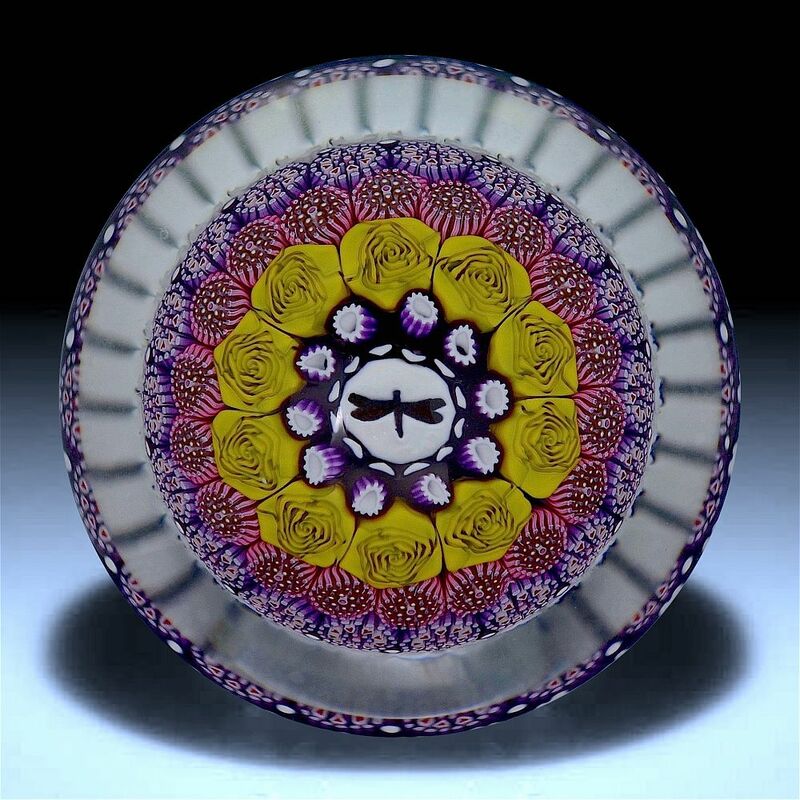 Another wonderful paperweight made by Michael Hunter for Twists Glass. Made in 2015 it is mushroom shaped and made of complex murrine canes. In the centre of the top is a white dragonfly silhouette cane surrounded by 10 small white & purple canes these in turn are surrounded by 10 yellow/green rose canes that are surrounded by 20 pink canes and the final ring is 18 white & red canes. The bulbous base of white cane is pulled into a stem.The base is signed "M Hunter Twists 15 1of 1" and has Mike's personal "MH" silhouette cane in the middle of the base and the Twists Glass studio label.